Church leaders are some of the worst examples of modeling healthy rest. I wrestled with this for years! God even commands us to do it……yet we don’t. Now, I’m not talking about a legalistic approach to the Sabbath, which includes checking off a ton of boxes to show we are ‘keeping the law.’ The deeper purpose of the Sabbath is so much more. Taking one day every week and giving it Sabbath consideration does two things. It proves to God that we really do care about what He tells us. It forces us to create healthy margin in an increasingly busy society. So…why do church leaders constantly struggle with taking a full day of rest? Guilt | This is especially true of senior leaders. “The church is paying me to be the Pastor at all times.” No they’re not! You are in your leadership position to lead the congregation in healthy relationship to God. That means letting others see in you how to live the life God has called us all to live. Poor time management | “There is work to be done every day of the week.” Yes there is, but it can be done in six days. Pre-plan your studying, phone calls, meetings, appointments, and regular tasks to fit into 5 or 6 days. This is what ‘keep the Sabbath holy’ means. Savior complex | Can I just shoot straight on this one? If you think you can’t take a literal day of rest because someone in the church ‘might need’ you, there’s a problem. What eventually happens here is people in the church learn to lean more on us as pastors and less on their faith in Jesus. May I offer you a challenge? 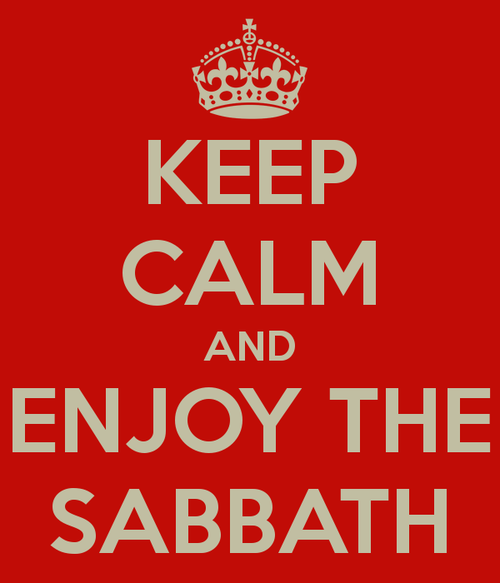 Take one of your regular days off and give it Sabbath consideration. For me, that day is Monday. Sunday is church and leadership…that’s work. If this helped you, I’d encourage you to share it with someone else who could use it today.